This is NOT going to be a detailed "how to" thread. I've linked below to the video tutorial I recommend. I will share my progress, and my entertaining mistakes. If I come up with any tips, I'll probably share them too. That's a big IF for this project! I learned from Walt that ventilation through the teeth is critical. He mentioned putting fans behind the teeth, to blow out hot air from your breath. Definitely going to try that! Hoping my microphone won't pick up on the fan noise. If it does, I'll probably try to finagle a switch to turn that fan off alongside a switch to turn on my microphone. Maybe. If you have smaller than man hands, just order your cut resistant gloves online. 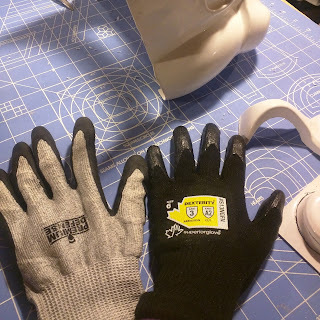 The ones on the left, from a local big box store, were wayyy to big for me. I ordered the smaller pair online and they are perfect. 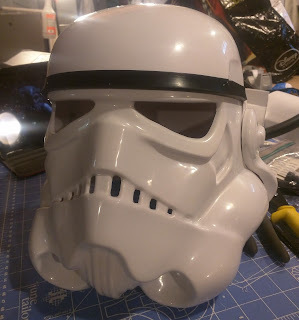 Soooo, when you go to assemble your helmet, make sure to use the right screws. I *might* have accidentally used the silver ones on the left, not the correct brass ones on the right. 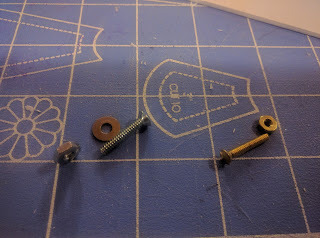 In theory, this wouldn't have mattered, but I did a little countersinking of the screws, and did a little more countersinking than I would have liked for the actual, correct screw size. Oh well. ****CORRECTION!!!!!!!!!!! Apparently I was using the right screws for centurion the first time!!!! Everyone says that the ears are the hardest part. Well, I'm hoping that's true! If it is, I'm sure glad I got them out of the way. 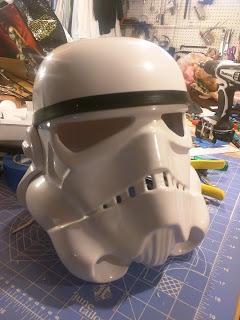 It's pretty rare, with a costuming project, that I don't meet my own quality standards. With the ears, I just have to step back and tell myself, "ear gaps are canon. . . ear gaps are canon. .." If you're anything like me, and those ear gaps are bothering you, do yourself a favor, and scroll through this awesome helmet reference. Type A friends, are you able to breath again? No? Me either. You want to exactly match the gaps on the "move along" helmet, now, don't you? STOP!!!!! You're not even done with the helmet yet!!!! MOVE ALONG TO THE NEXT PART!!! And I need to keep reminding myself that one ear higher than the other is also canon. . . .
Oh, wait. Before you do anything, meet the best YouTube video series ever. 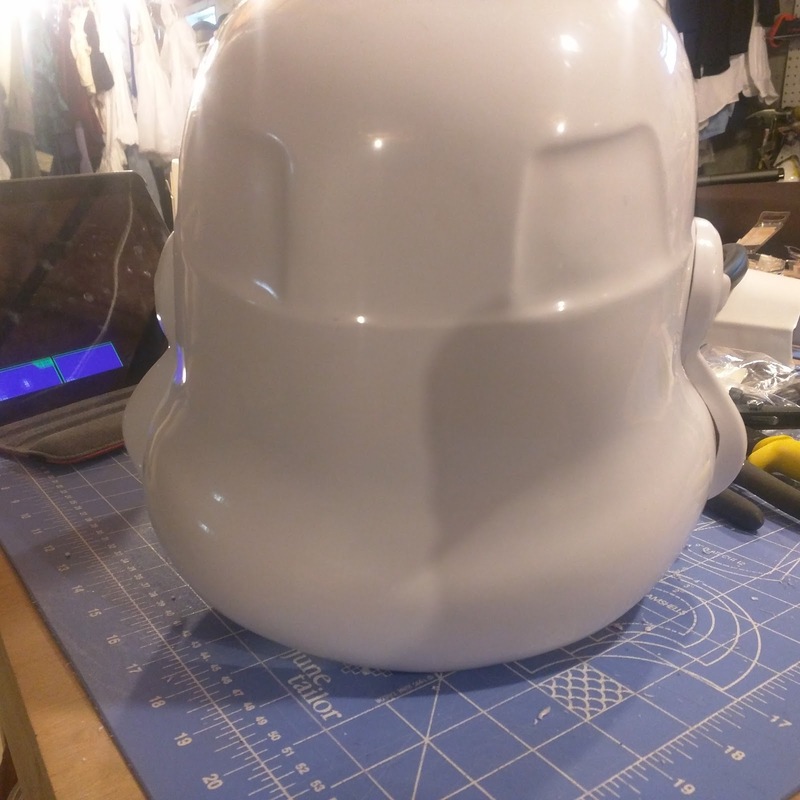 TK 1636's armor building tutorial on YouTube has been playing on repeat while I work. He's building for Centurion Level approval, which is my goal. 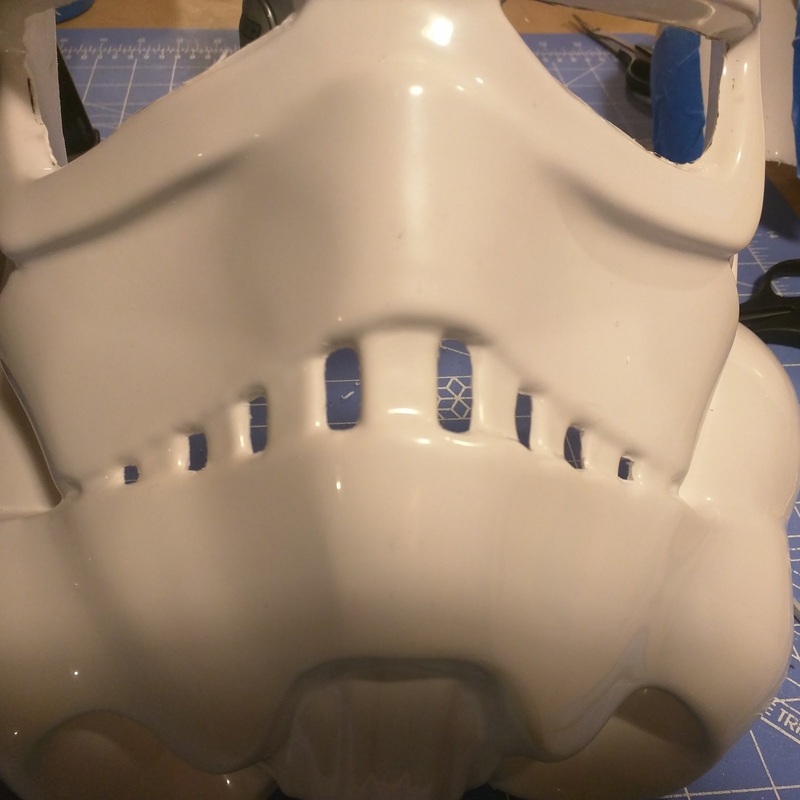 Centurion is an optional, advanced approval level for the 501st. Just watch this over and over again. Seriously. He is AMAZING.